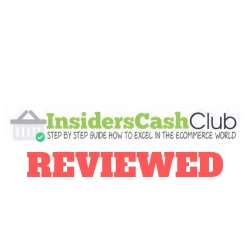 Insiders Cash Club Review - 0% Cash, 100% Scam! 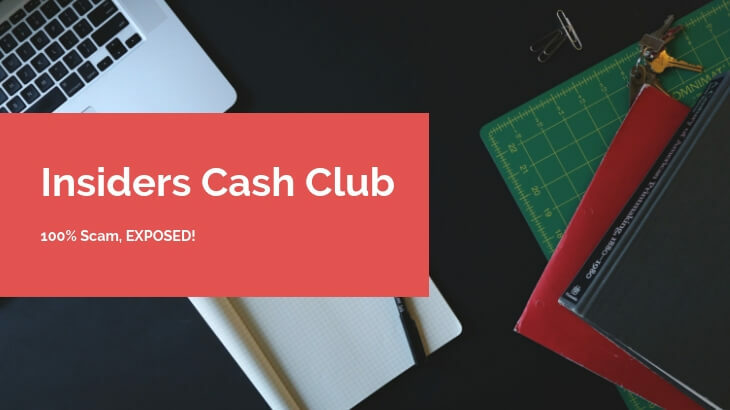 →Insiders Cash Club Review – 0% Cash, 100% Scam! 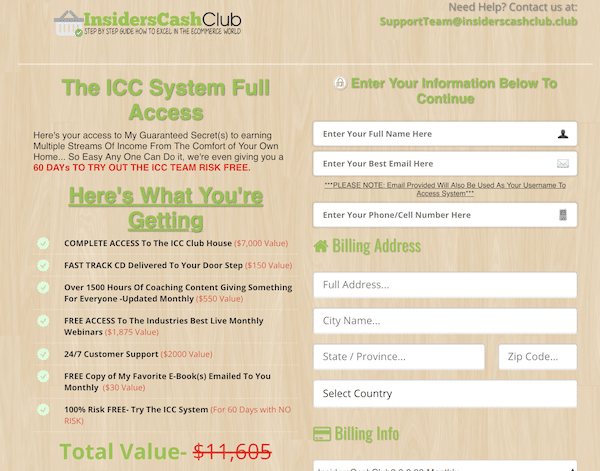 Insiders Cash Club Review – 0% Cash, 100% Scam! I first stumbled upon this site when I was doing a series of reviews for other products of similar nature. Now, this program was name-dropped in a lot of reviews, and I just found the time to investigate it. This program is called Insiders Cash Club. Let me be completely transparent with you, I'm not associated with Insiders Cash Club in any form. Instead, I'm here to reveal why I believe this program is part of a network of scams, and why this is not worth your time! Best For: No One! It's A Scam! Summary: Insiders Cash Club claims to be a "work-at-home" system that promises you that you can make a six-figure income in a year. That's just too good to be true. But upon further investigation, I can safely assume that this program is part of a network of scams because they use the same MO (modus operandi), like using fake video testimonials, fake success stories, and even fake news reports. There's nothing legitimate about the program at all. What is Insiders Cash Club? Who's Insiders Cash Club For? Insiders Cash Club Ugly Truths Revealed! What I Like About Insiders Cash Club? Insiders Cash Club is supposedly a work-at-home system that allows ordinary people like you to earn money online quickly. 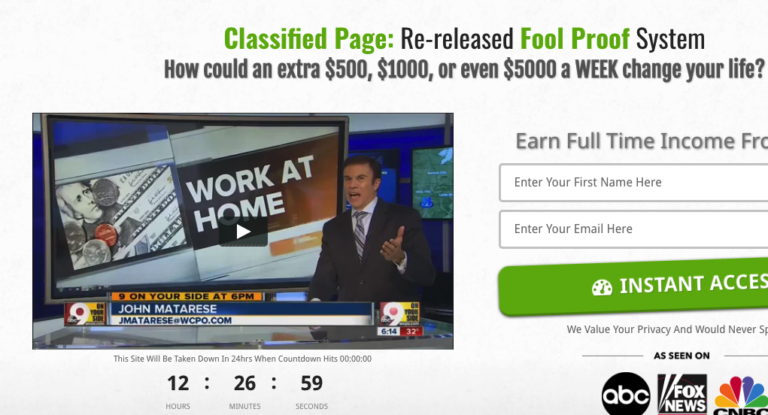 On their sales page, you’ll see claims that promise you $500 to $5000 per week. Later on, in the presentation, some students are claiming that they’re earning around $1 million per year. If you’ve read any of my previous articles before, then you know that when something’s too good to be true, it most likely isn’t true. On their homepage, you’ll be greeted by a news report that’s oddly familiar. This is because it was also used in a previous scam called Your Profit Team. So ICC’s spokesperson does not even mention what the program is all about, only that it’s a work-at-home system and nothing else. He’ll also try to sell you the system for free later in the video, but it’s not true. I tried to access it and there was no way to get into the members’ area without paying a membership fee. Just by the landing page alone, there were already a lot of RED FLAGS that this program was up to no good. Insiders Cash Club is a site that claims to help novice marketers like you make a six-figure income per year with only a few clicks. The cost of the system is $8.99 a month, so it’s not really a lot of money if you do get scammed. If you do purchase into their program, then you’ll find that the system is a combination of different ways of making money online. You’ll find something about affiliate marketing, which is selling other companies’ products for a commission. Then you’ll find something about e-commerce, where you try to set-up your own shop and sell your own products. But you do know that all of the information that you’re going to pay for is FREE TO FIND on the Internet, right? The system tries to reel you in by letting you think that you’re getting into a game-changing “secret system” that’s going to make you tons of money online. Now, where have I even heard of that line before? And I can go on and on too. But once you start to click through the next page, you’re immediately taken to the checkout page that promises you complete access into their members’ area for only $8.99 a month. They’re telling you that you’re only paying $8.99 for a system valued at $11,605! But the $8.99 is merely the introductory price. Once you’re hooked, you’ll be greeted with a lot of upsells that’s listed on their Checkout page. No one. This program is an absolute scam. You’ll get nothing by signing up for their program, except a $8.99 charge on your Credit Card every month. If you’re looking for a Legitimate Way to Make Money Online, I have a step-by-step guide which you can access by clicking this link. Don’t worry, it’s free information. I’m not even surprised that they hired paid actors from Fiverr to do their video testimonials. On their sales video, you’ll stumble across people who claimed to have made money after a few days of using the system. Well, here they are and in a side-by-side comparison with their Fiverr profiles. But why do scams like Insider Cash Club need to use these fake testimonials, you ask? It’s because they want to add to the hype of selling their scam. And it’s more believable when you see these supposedly ordinary people succeed in making a ton of money online. You’re greeted by a news report about working from home when the video starts to play. The news report has nothing to do with Insiders Cash Club at all. In fact, there’s no mention of ICC anywhere on the news report! 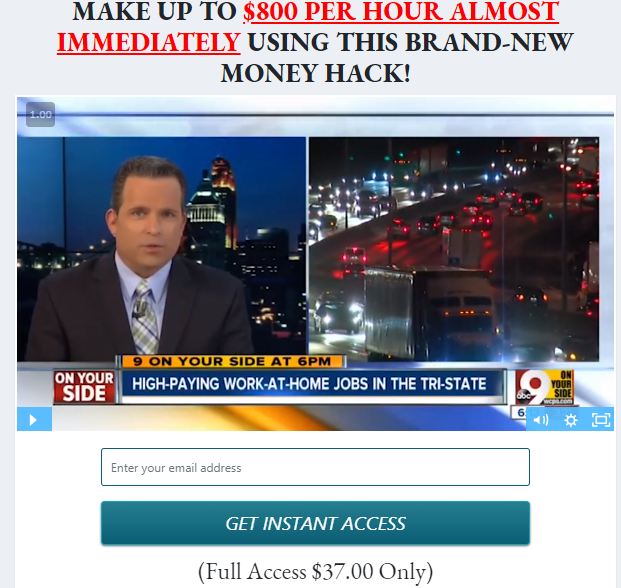 This news report also appears on the Instant Payday Tricks scam. Using the same fake news report reminds me of two similar scams called Amazon Cash Websites and Real Profits Online. Instead of a news report, they use the same article about how Amazon provides amazing “work-at-home” opportunities. Need I mention that the article also happens to be fake, and is nothing more than an overly hyped announcement of Amazon’s affiliate program, which has already been going around for years. Their success stories would’ve been inspiring if the program was legitimate. On their site, you’ll find that these success stories were conjured up by one of their writers in the hopes of reeling more people like you (in case they don’t get to the fake video testimonials). 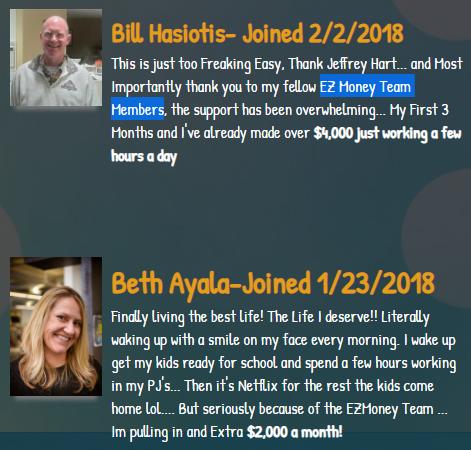 That would’ve been okay but digging deeper lead me to another set of reviews from the same people using a different program called EZ Money Team, another scam. You’re going to be informed that there’s a limited time to join or that there’s only a limited number of slots within the program. This is so they can push you into buying for the sake of urgency. The landing page contains a fake countdown because it says the sales page will be taken down once the time’s up. I gave them the benefit of the doubt and checked back 48 hours after the deadline. Sure enough, the page was still there and the counter was still going. I’m quite objective and unbiased when it comes to writing reviews, even when the program is terrible. But it’s difficult for me to be this objective when you’re reviewing an outright scam. I am merely pointing out all of the obvious RED FLAGS that make this a scam, and any possible saving grace that it might have went out the window. I am now inclined to believe that Insiders Cash Club is part of a network of scams that use the same tactics. 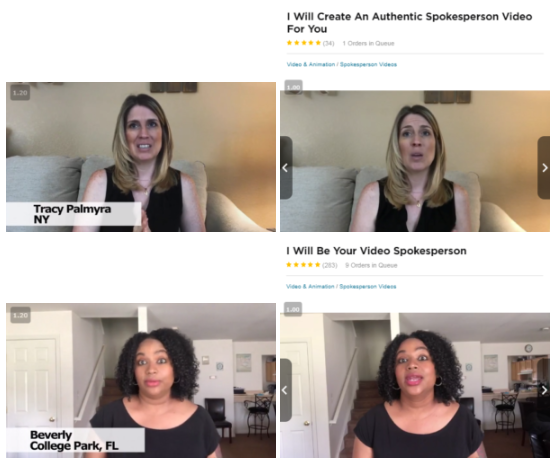 These tactics, ranging from fake video testimonials to fake success stories to fake news reports, are all futile attempts at getting money from honest people like you who’re only trying to make money online. At this point in time, it would be difficult for me to believe if anyone says something opposite to what I’ve written simply because I would assume that the person is a paid spokesperson for the program. With that said, I would avoid this program (and their network) at all costs.